A day after she ruled out the possibility of reducing the prices of fuel in her state, West Bengal Chief Minister Mamata Banerjee slashed prices of petrol and diesel by Re 1 per litre. The Trinamool Congress (TMC) chief managed to bring the prices down by reducing the tax on petrol and diesel. “We have decided to reduce the price of both petrol and diesel by Re 1,” Banerjee announced on Tuesday at state secretariat Nabanna. At the same time, the West Bengal CM demanded that the Centre reduces the cess on petrol and diesel to effectively reduce the cost burden on the shoulders of the consumers. “The price of crude oil has gone down, but they are increasing the prices and cess. Both cannot happen simultaneously. The state government does not get any percentage from the cess,” she said. Banerjee alleged that the cess imposed by Central government has been increased and no attempts are being made to bring stability in the fuel prices. Previously, the governments of Rajasthan and Andhra Pradesh slashed petrol and diesel prices in their respective states. While BJP-ruled Rajasthan reduced the prices by Rs 2.5 per litre in the state, TDP-ruled Andhra Pradesh reduced the prices by Rs 2 per litre. Banerjee’s decision came a day after various opposition parties observed Bharat Bandh in protest of rising fuel prices across the country. Though her party did not participate in the nationwide strike call, Banerjee extended her support to the protest. 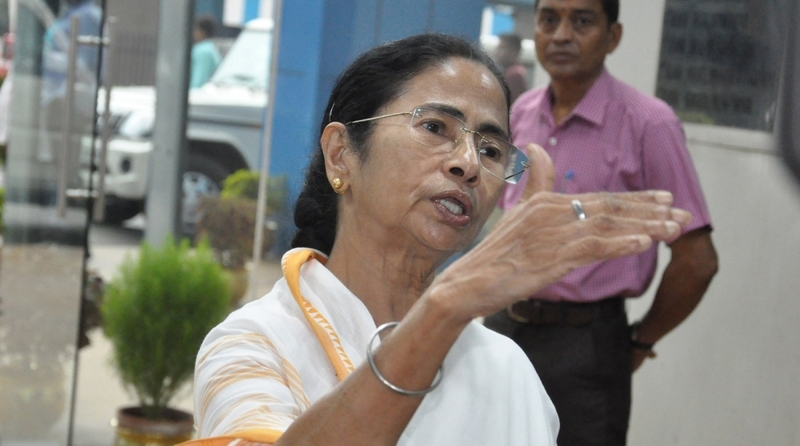 Speaking at Nabanna on Monday, the West Bengal CM had said that there will be no reduction in prices of fuel because they are increasing regularly. “We don’t know where the prices will reach finally. It’s an economic disaster and mismanagement by the Centre,” she said. It is noteworthy that West Bengal Congress chief Adhir Chowdhury had on Saturday requested Banerjee to reduce the prices of fuel citing examples of other states which reduced the VAT.